Barclaycard has received the maximum possible fine for the "most serious and persistent" case of silent calls ever seen by regulator Ofcom. The credit provider was hit with a £50,000 fine after an Ofcom investigation uncovered an extremely high number of silent calls. Typically, these occur when call centres with automated systems dial more numbers than staff can deal with. Consumers are left frustrated as they have no idea who the call is from. When they answer the telephone, and no agent is available to talk to them, it results in silence on the line. 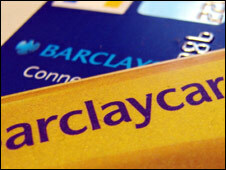 Ofcom investigated Barclaycard from October 2006 to May 2007 and found that people receiving calls had no idea where they were coming from. Rules on silent calls in 2006 stipulated that abandoned calls must carry a short message identifying where they came from and must account for no more than 3% of all live calls made in the space of 24 hours. Ofcom declined to say what Barclaycard's silent call rate was, but said the number of silent, abandoned calls made by Barclaycard was "substantially more" than the 16,000 calls for which Abbey National was fined in a previous case. The regulator also found that some of Barclaycard's call centres had no procedures in place to prevent people receiving repeated abandoned calls over a short period of time. "Taken as a whole this is the most serious case of persistent misuse by making silent and abandoned calls that Ofcom has ever investigated," said Ofcom chief executive Ed Richards. "Had we not been limited by the statutory maximum, we would have imposed a larger financial penalty to reflect this misuse." A Barclaycard spokesman said: "We recognise that all calls, irrespective of the purpose, should be made in the right way and we accept that our processes, in place at the time of the review by Ofcom, were inadequate. "As a result, we offer a full apology for any inconvenience and distress to our customers that these calls caused. "We have made robust and lasting changes to our processes, operations and reporting to ensure that we continue to be compliant and to provide the highest levels of service to all our customers." Ofcom has previously fined Abbey National, Complete Credit Management, Space Kitchens, Bracken Bay Kitchens, Carphone Warehouse and Toucan for breaches of its rules on silent and abandoned calls.